Parenthood automatically results in the obligation of a parent to support a child, this obligation is a common law duty that arises on the child’s birth and is also catered for in section 15(3)(a) of the Maintenance Act 99 of 1998 (hereinafter “the Maintenance Act”). This duty applies regardless of whether the child is born in or out of wedlock. This duty continues until the child becomes major, self-supporting, married or passes on. Where one parent becomes deceased, the duty rests with the surviving parent. The child of a deceased parent can also claim from the deceased parent’s estate – see Ex Parte Insel and Another 1952 (1) SA 71 (T)). If both parents cannot support the child, the obligation extends to grandparents of the child and if the grandparents (both maternal and paternal jointly) are deceased or do not have sufficient means to provide for the child, the duty will pass on to the siblings of the child. The court confirmed that there is an ‘order of priority’ and that if parents are not able to maintain their children, the duty to support falls on paternal and maternal grandparents. The court recognized that paternal grandparents actually have a duty of support towards a grandchild regardless whether the child was born out of wedlock. The SCA stated that a parent’s rights and responsibilities ‘outrank’ those of grandparents and on that basis, it overruled a ‘care order’ that had been issued in the grandparent’s favour. The regulation grants a discretion to the maintenance officer, which allows him to investigate a maintenance complaint. Therefore, ‘information relating to the complaint’ always includes evidence refuting maintenance accountability. 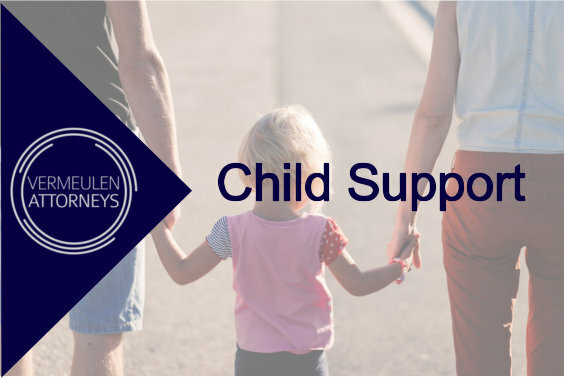 In the hierarchy of the duty of support, such evidence will for instance include a grandparent’s proof absolving them from paying maintenance on the basis that a maintenance order could first be sought against parent or that the parent has means to support. Regulation 3(1) also empowers the maintenance officer to exercise a discretion in calling grandparents to establish their maintenance liability. The court decided in N v B (6573/14), that issuing a directive against the grandparents of children who are in need of maintenance does not go beyond the powers of the maintenance officers and that it is not prejudicial to proceed against one parent alone. Further the court said that it is not an absolute requirement that the parents should be destitute prior to invoking the duty of support against grandparents. Therefore, as a first port of call the parents of a child is responsible for maintenance but are not the only parties whom can be ordered to so maintain a child. If you require assistance in obtaining an order regarding maintenance our offices are equipped and happy to assist in this regard.